Crafted in shades of olive & vine green, with white overtones on red/gold roses. 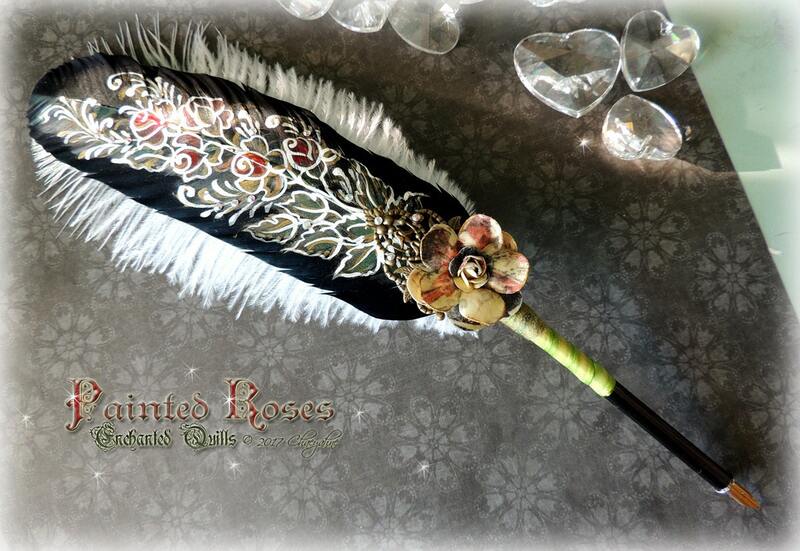 This 12+ inch pen comes bearing a lovely hand-formed paper rose focal & brass filigree backing, and is equipped with a custom black ferrule to accent the ebony black feather. This ferrule will allow for the inter-change of nibs when writing or illustrating. It has a ribbon wrapped writing shaft that has been sealed for use & durability. 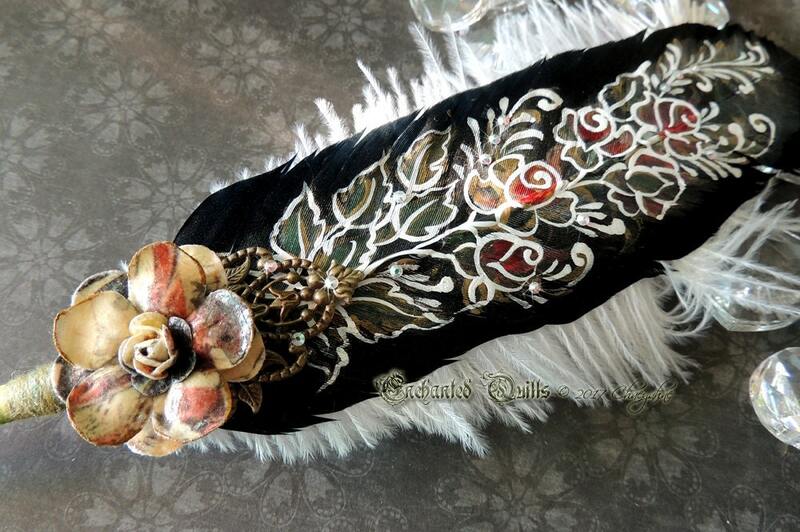 I painted the quill in a golden toned red & green folk art style, accented in white, with tiny crystal accents. 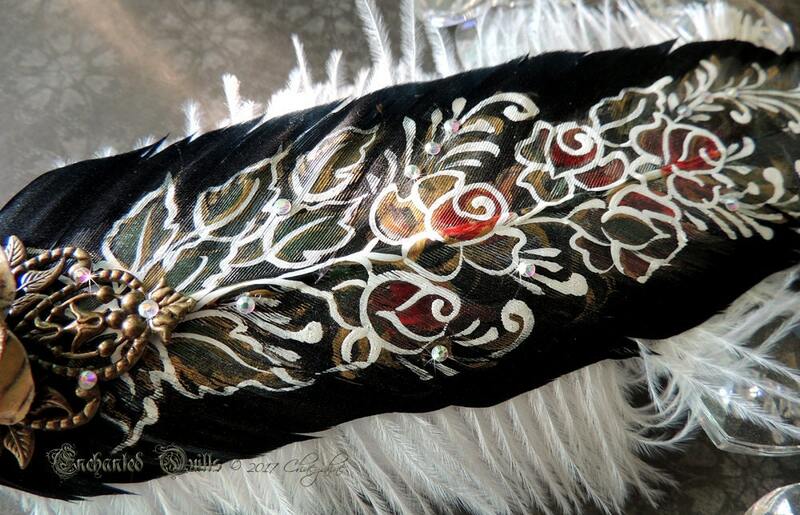 This is an exclusive CSD design, and is of course one-of-a-kind.